Note that these figures are estimates, and include warheads that are in storage or otherwise not readily operational. Moreover, the gap between the two countries is surprisingly narrow: the Power Index judges 126 countries against a perfect score of 0.0000, drawing data from a variety of public sources ranging from the C.I.A. to news outlets. The U.S. enjoys the top rating of 0.1663, with Russia just two hundred points lower at 0.1865. Wikipedia’s latest Featured Article highlights an unusual episode of the early 20th century: Brazil’s acquisition of two of the largest and most cutting-edge battleships in the world: the Minas Geraes and São Paulo (former pictured). Brazil was only the third country, after the U.K. and the U.S., to have the revolutionary “dreadnought” class (called the Minas Geraes class in Brazil) — ahead of major powers like France, Germany, Japan, and Russia. Its high profile purchase not only reflected the country’s growing wealth and prestige, but its aspirations of becoming a respected world power. The ships were an international media sensation, not only for their power and sophistication, but out of surprise that Brazil, of all places, should come to possess them. (In fact, it was initially widely speculated that Brazil was only purchasing the ships on behalf of another power, with each major power pointing fingers at one another as the true buyer.) Upon their completion and delivery in 1910, the U.S. and other powers began courting Brazil as a potential ally, no doubt giving the country the sort of national pride that had partly motivated this move. This event sparked another lesser known event in the 20th century: the great South American dreadnought race, wherein rivals Argentina and Chile — among the richest and most powerful countries in Latin America — worked to acquire powerful battleships of their own (other participants included Peru, Uruguay, and Venezuela). Like Brazil, each country acquired two powerful dreadnoughts of their own, but ultimately these behemoths would remain as white elephants: symbolically impressive, by strategically unnecessary. After seeing little action, all the ships built in the race would end up being sold or scrapped by the mid-20th century — but not without giving their respective countries a significant, though costly, boost in global prestige and status. 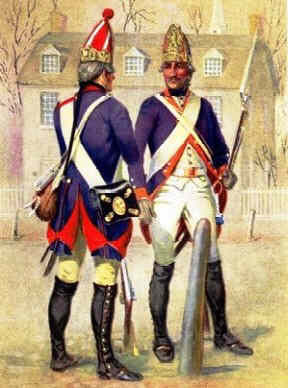 Numbering around 30,000, the Hessians made up one-quarter of Britain’s forces in the war, and fought as distinct units led by their own commanders, albeit under overall British control. Participating in almost every major campaign, they were a visible presence in the conflict, and were proficient fighters with a fearful reputation (among both Loyalists and Patriots). But despite their military advantage, and the fact that mercenaries were standard in European warfare at the time, the Hessians were a huge public relations disaster for the British. In fact, their use was one of the main factors that convinced many Americans to fight for the Patriot cause (at the start of the war, the majority of colonials, including many Founding Fathers, merely wanted greater rights and autonomy, rather than outright independence). To mark the anniversary of the atomic bombings of Hiroshima and Nagasaki, Australian historian and author Paul Ham penned an article at The Atlantic that explores the debates and discussions among U.S. scientists, officials, and military officers regarding the fateful use of these new weapons of mass destruction.